Smith, D.A., (2017). World city populations 1950-2030: Proportional circle time series map, Environment and Planning A, 49(1), pp 3-5. Smith, D.A., (2016). Online interactive thematic mapping: Applications and techniques for socio-economic research, Computers, Environment and Urban Systems (57), pp 106-117. Kandt, J., Rode, P., Hoffmann, C., Graff, A., Smith, D. (2015), Gauging interventions for sustainable travel: a comparative study of travel attitudes in Berlin and London, Transportation Research Part A: Policy & Practice, 80, 35–48. Reades, J. and Smith, D. A. (2014). Mapping the ‘Space of Flows’: the geography of global business telecommunications and employment specialisation in the London Mega-City Region, Regional Studies, 48(1), 105-126. Jenkins, K., Hall, J., Glenis, V., Kilsby, C., McCarthy, M., Goodess, C., Smith, D. & Birkin, M. (2014). Probabilistic spatial risk assessment of heat impacts and adaptations for London. Climatic Change, 1-13. Mascucci, A.P., Smith, D.A., Crooks, A. and Batty, M. (2010). Random planar graphs and the London street network, The European Physical Journal B: Condensed Matter and Complex Systems, 71(2), 251-271. Batty, M, Carvalho, R., Hudson-Smith, A., Milton, R., Smith, D. and Steadman, P. (2009), Scaling and allometry in the building geometries of London, The European Physical Journal B: Condensed Matter and Complex Systems, 63(3), 303-314. 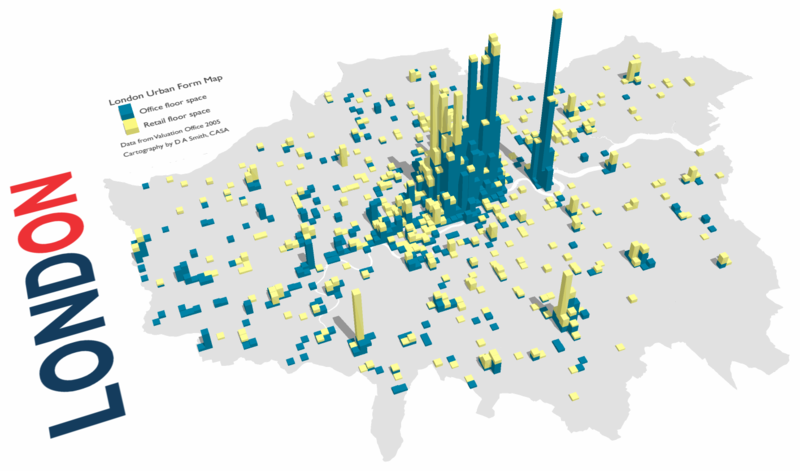 Smith, D. A., Vargas, C. and Batty, M (2012), Simulating the Spatial Distribution of Employment in Large Cities: with Applications to Greater London IN Pagliara, F., de Bok, M., Simmonds, D. and Wilson, A. G. (eds), Employment location in cities and regions: models and applications, Heidelberg: Springer. Rode P, Floater G, Smith, D. A. et al. (2013), Stockholm: green economy leader report, LSE Cities: London. Rode P, Floater G, Smith, D. A. et al. (2013), Going green: how cities are leading the next economy, LSE Cities: London. Smith, D. A. and Serras, J. (2012), Estimating intra-metropolitan journey-to-work CO2 emissions: a multi-modal network approach applied to the London Region 2001, CASA Working Paper 183, University College London, London. Smith, D.A. and Crooks, A.T. (2010), From buildings to cities: techniques for the multi-scale analysis of urban form and function, London: Centre for Advanced Spatial Analysis, University College London: Working Paper 155. Smith, D. A. (2010), Valuing housing and greenspaces: understanding local amenities, house-prices and the built-environment in London, GLA Economics Working Paper 42, Greater London Authority, London. PDF version here. Double sided PDF version here. Nice work. Will be interesting to note the change since then, especially in Stratford and Shepherds Bush. Hello Duncan, I will read your dissertation. I am interested in the concept of #CityRegion. Recently I directed a Congress in Bilbao (Basque Country-Spain) with this general topic (http://www.basquecity.org and in spanish http://www.euskalhiria.org). I really love to meet you in London or Oxford in order to talk about these themes. I will read it next week. So january could be good for a meeting for me. Thanks for taking an interest in my work. Sure would be interesting to meet in January. Speak to you in January. My name is Agwu John Ogbonnaya, a first year PhD student in the department of urban and regional planning, university of Lagos, Nigeria. Your work is quite interesting. l am thinking of doing similar research on Lagos megacity. Please can you be of assistance.